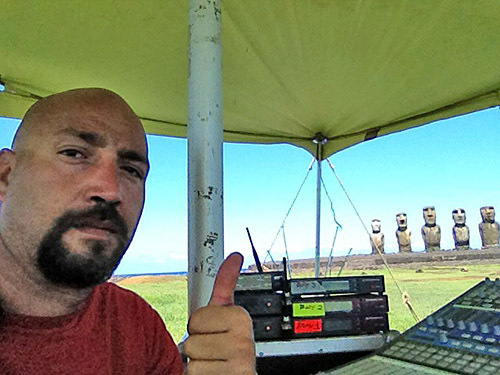 The guy at the StudioLives in these pictures is Mauricio Romero, my friend, who has lived for 10 years on Rapa Nui! 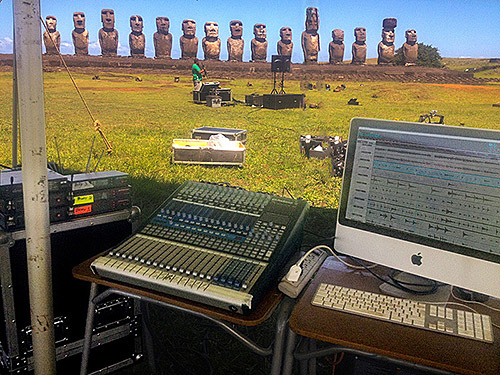 He did all the audio production for the Tapati, an annual festival that lasts for 10 days! Tapati was first performed during the first ten days of February, 1975. 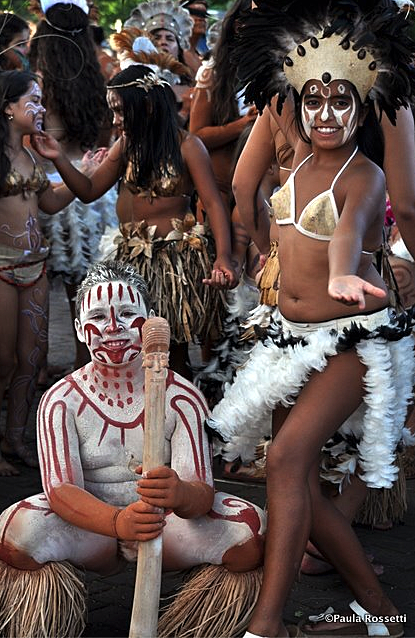 The festival began as a one among islanders, but now is an instance to share culture with tourists visiting around that time of year. 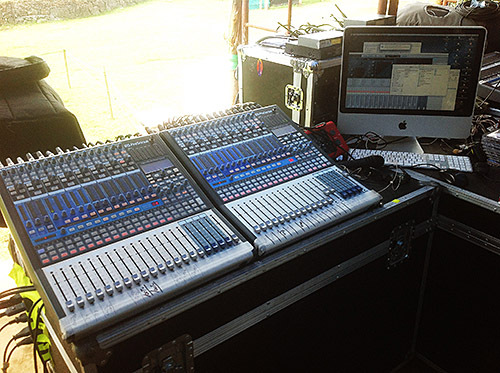 Two linked StudioLive 16.4.2s were the heart of the sound of this important event, running the live sound and recording the bands simultaneously. The show was recorded in Capture and then edited, mixed, and mastered in Studio One 2.5. 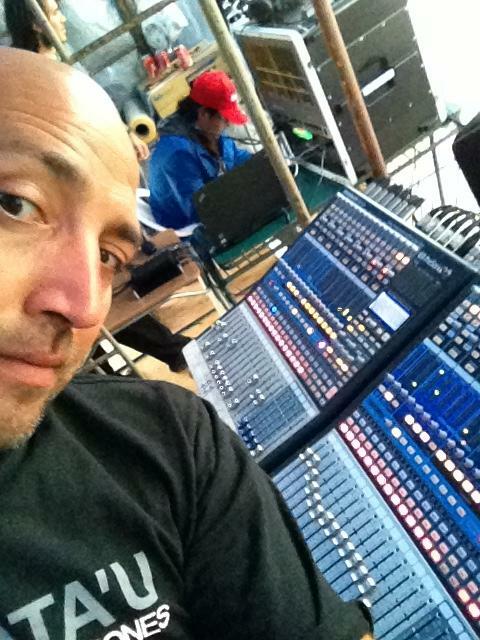 Mauricio Romero is the founder of the most important sound company of the island, Matau Producciones. 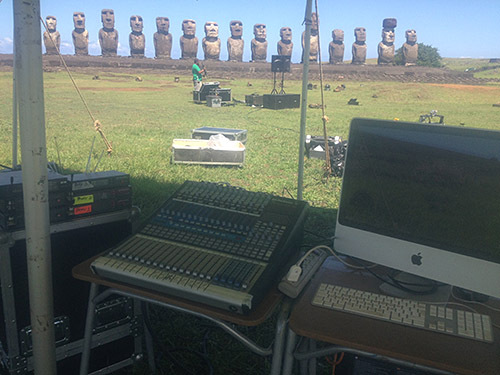 He also has produced many albums with ethnic music of Rapa Nui. 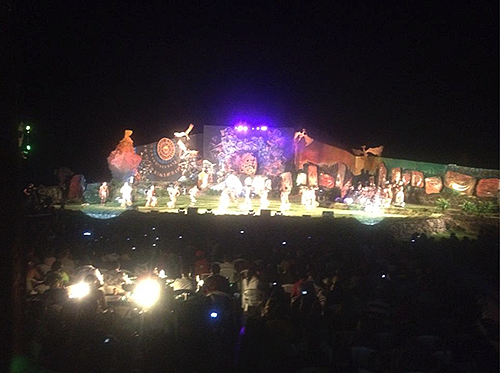 This year, Matau Producciones did all sound and lighting for Tapati as well. Saludos! WOW!!! !primo te felicito, te deseo el mejor exito del mundo junto a toda esas personas maravillosas y junto a tu linda familia. Muchos cariños y buenos deseos!!!! What a fantastic experience! and working with the wonderful luxury landscape! Well done Mauricio! Great! Greetings from Sweden! Ya can’t beat the venue on this one. I’ve always wanted to see these statues in person. Bet the music was incredible. Anyone got any stems from this?? 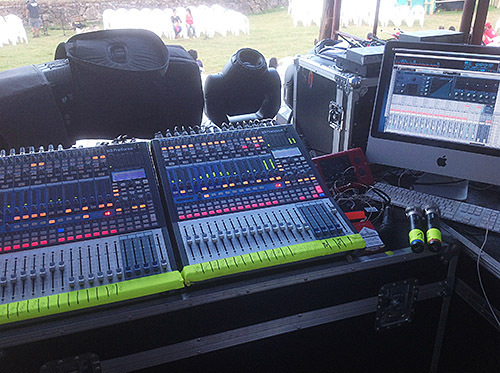 WOW….. Another show of how versatile these boards are. I have taken them from the studio to stage both front of house and monitors and never once has this board let me down on impressing. I can’t wait till more people dem these RYDER friendly cause in my book they should be in everyones arsenal.